This trick sounds like it would come in handy while trying to diagnose memory shortage problems on a system with a small screen. 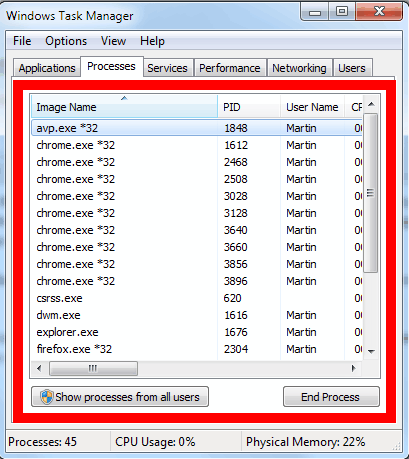 Windows users can open the task manager with the keyboard shortcut Ctrl-Shift-Esc, or by selecting its entry in the context menu after right-clicking the taskbar in the operating system. 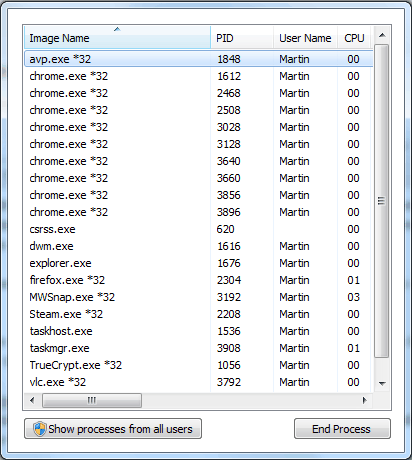 Those who have tried to reduce the size of the task manager window have without doubt noticed that it has a fixed minimum size that prevents reducing the window further than that size. A double-click on that border switches to ultra-compact mode which removes the tabs and menu bar in the Windows Task Manager. That alone would not be helpful but the new mode allows to reduce the window size of the task manager further. 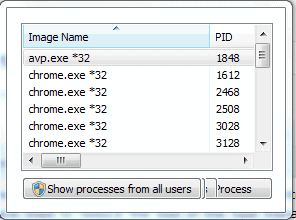 The task manager window can be reduced to an absolute minimum this way. It is possible to switch modes again by double-clicking a second time on the border. This however resizes the window to the minimum allowed size of that mode. This entry was posted on Tuesday, July 6th, 2010 at 11:17 am	and is filed under tech tips. You can follow any responses to this entry through the RSS 2.0 feed. Both comments and pings are currently closed.